While older adults are often under the impression that their “cavity prone” years are over, the truth is — as we age our dental problems often escalate. Unfortunately for many senior citizens, dental complications come at a time when they are retired and no longer have an employer-sponsored dental plan. However, an affordable dental discount plan may be just the solution that helps millions of seniors keep their teeth and gums healthy. Aging often comes along with a host of medical problems like heart disease, diabetes and cancer, all of which can adversely affect a person’s dental health. Diabetes for example can cause gum disease to worsen, frequently leading to the loss of teeth. And side effects of cancer treatment can give rise to several painful oral issues, including tooth decay. As a person ages, oral cancer also becomes more of a risk, especially for men who smoke. Seniors frequently take various medications that cause dry mouth. Dry mouth produces an overabundance of bacteria in the oral cavity, and without sufficient saliva to self-cleanse the teeth and gums, tooth decay or gum disease often develop. Gum recession is also a common outcome of aging, leaving many older adults susceptible to root decay. And most seniors have reached a point where previous dental work has worn out and needs replaced. Regrettably, without dental insurance many older people can’t afford to keep up with preventive dental appointments, let alone costly treatments. But an affordable dental discount plan can provide seniors access to much needed dental care at a fraction of the cost. Because a discount plan is not insurance, there are no deductibles, annual maximums or waiting periods to deal with, and all services are covered, including cosmetic and orthodontic treatment. When services are done by a dentist who participates with the plan, the member can expect to save up to 50 percent. Along with great savings comes great dental care, since all network dentists meet highly selective credentialing standards. 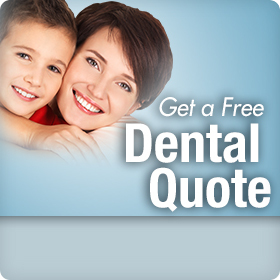 A discount plan can also be used along with another dental plan for further reductions in out-of-pocket expenses. The cost of dental treatment necessary to keep your teeth and gums healthy is always money well spent, but why spend more than you have to? If you are a senior looking for an affordable alternative to dental insurance, just click on this link to access a Confident® dental discount plan through Careington® and a list of participating dentists in your area. Discount plans provide you with immediate access to all services. However, they also require you visit a network dentist. You should understand that these types of plans are NOT insurance products, but they should be considered in your final purchasing decision. The discounts can vary greatly depending on where you live, and you should always confirm with the dentist, prior to your visit, that he she still belongs to your plan’s specific network. It is also important to note that the dental provider may require that you pay at the time of service. Click HERE to see an illustration of how these plans generally work.